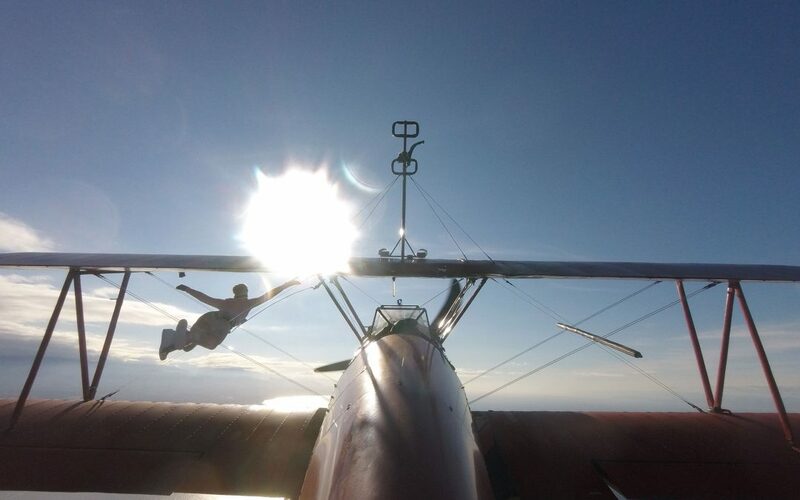 I just finished doing my favorite “Eyes of Awe” Year End Review process and at the end, realized with some amusement and surprise, that my wingwalking adventure wasn’t even in my Top 10 list of 2018 highlights. Ha! Certainly, it was a 20-year dream come true, and a game-changer for my entire life going forward, but what struck me about my year in review was honoring all of the shifts I’d made earlier in the year, that made it POSSIBLE for me to pursue that bucket list adventure. Which is really the point. Your future dreams and goals will call your forward into experiences that are very intentionally and perfectly orchestrated to help you grow into the person who can live those dreams. And THIS is the process that is most definitely not linear and cannot even be fathomed by the conscious mind. Last year, at the end of doing the “Eyes of Awe” Year in Review exercise, I was quite surprised to see what poured out of my pen as I felt into what themes were emerging for 2018. “Love. Relationships. Connection.” My mind would have had a completely different agenda for what I *thought* my 2018 would be about. But the exercise allowed my heart to speak, and it did — powerfully. As it turns out, love, relationships, and connection were absolutely primary themes for me in 2018 — and while on the surface it would appear that those things have nothing to do with me walking on the wing of a biplane in flight — the creation process is never linear. My heart KNEW that a year ago. And when I reviewed my year this time, what was most meaningful to me as I looked back were the ways in which my heart continued to open, to trust, to rest in the knowingness of the Love that I am — which has continued to open new doors and manifest new levels of abundance and joy. Your heart knows exactly the experiences that are going to unlock the new dimensions of power and potency within yourself. But most people get tripped up by trying to make it linear. The inner conflict that arises between your heart — which is whispering to you to come this way, which makes no sense whatsoever — and your mind, which is telling you that you should stay focused and you should be working on XYZ and why in the world are you spending today doing THAT which is COMPLETELY “non-productive” — this is the conflict that continues to erode your trust in yourself, betray your heart, and perpetuate stress and struggle instead of ease and flow. What if the game is to deepen your trust in the non-linear meanderings of your journey? The “Eyes of Awe” year in review process is intended to support you in delighting in the perfection of the process of creation itself — YOUR unique creative process, as guided by YOUR heart. It’s one thing to say or to know intellectually, “everything happens for a reason,” or other such cliches. But the power is integrating that knowing — consciously and intentionally, by reviewing your own existence to see the themes, the threads of your tapestry weaving perfectly together as you live the masterpiece that is your very existence. Once again, it’s my joy to share with you the “Eyes of Awe” Year in Review exercise as my gift to you — a portal for you to deepen your delight in the knowing of your own perfection. If you know that 2019 is going to be different for you — the year in which you embody your greatest possibilities and full potential like never before — then this is the foundation you need to create those experiences next year. My clients consistently report that this is the most powerful work they do all year. It’s an hour of your life that can unleash new energies of creation for you and within you. And who knows, you just may fall in love with yourself even more deeply than ever before.